Today Inglorious have released their new video for “Holy Water,” a swampy blues track from their self-titled debut released back in February via Frontiers Music. 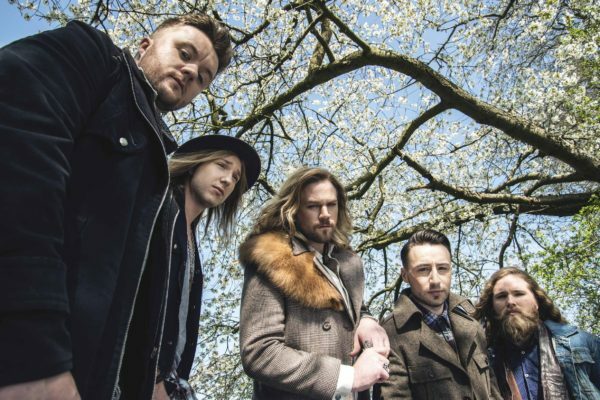 (Read our interview with frontman Nathan James here: http://www.loveispop.com/interviews/an-exclusive-interview-with-nathan-james-of-inglorious/) It’s the sort of wicked song you used to have to go to a crossroads and sell your soul to the devil to write. But the guys of Inglorious are talented enough that they’re able to pull it off without any evil intervention, hence the title of the song, “Holy Water.” Don’t worry though — while it will get you addicted, it won’t turn you into a religious zealot. Now, dig that groove!